What does the EU's new Privacy and Security law mean for US Healthcare Providers, Payors, and Vendors? GDPR 101: What is the GDPR, and how does it affect my healthcare practice or company? The GDPR is broader in scope than HIPAA, as its protections extend to all broadly defined “personal data,” not just Protected Health Information (PHI). It replaces the 1995 Data Protection Directive from the European Union, which only impacted U.S. companies that transferred the data of EU data subjects out of the EU. In contrast, the GDPR affects all companies that do business with EU data subjects, whether or not they have a presence in the EU. Therefore, any company that uses, collects, or retains any personal data from any European citizen, either knowingly or unknowingly, will have to comply with the GDPR - even if that citizen is physically located in the U.S. If that company is a HIPAA covered entity or business associate, the company will likely also need to comply with HIPAA. 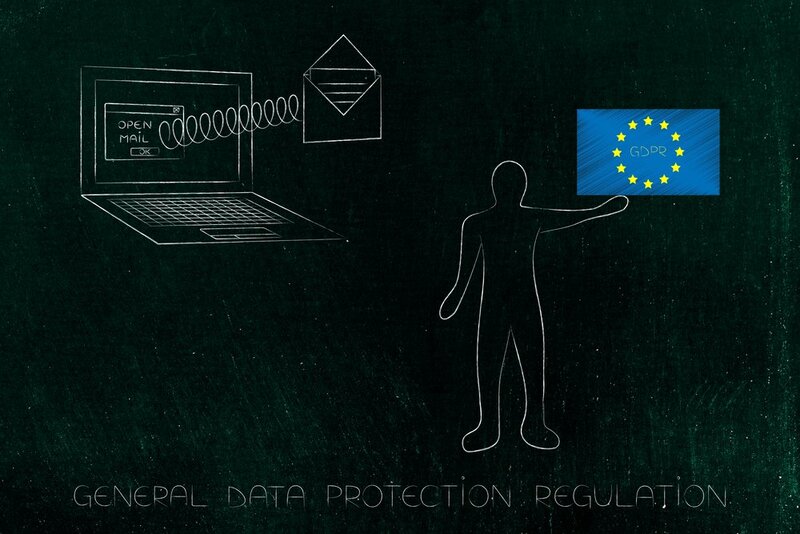 Like HIPAA, the GDPR gives EU data subjects special rights related to their personal data and will require companies to make adjustments to 1) their technology (how systems are managed); 2) their data (how their data may be stored and processed); and 3) their compliance obligations (policies and procedures). If you are a healthcare provider in the U.S., there is a strong chance that you may provide services to citizens of the EU while they are visiting or living in the U.S. This may mean you are a “controller” under the GDPR. If you are a company that provides technology to healthcare providers or processes any data for healthcare providers, you will almost certainly be processing data from an EU data subject, making you a “processor” under the GDPR. “Controllers” are those who are determining why and how a person’s data is being collected and used. “Processors” are those that process personal data after being engaged by a controller to do so. The GDPR creates a specific obligation on Controllers and Processors to appoint a Data Protection Officer. This individual serves a role similar to that of the HIPAA Security Officer. “Medical care” grounds, where the collection and processing is necessary for preventative or occupational medicine, medical diagnosis, providing healthcare treatment, managing health systems and services, or under a contract with a health professional subject to professional confidentiality or secrecy under law. The GDPR requires specific language, related to documentation on processing activities, be included in contracts between Controllers and Processors. Companies that collect data from EU data subjects will need to revise their Business Associate Agreements and/or Information Security Agreements to include all additional GDPR-required provisions. If you are a medical practice or other provider entity, you will need to revise your Privacy Notice and your Patient Authorizations. If you are collecting health-related data from EU data subjects, your technology systems need to allow an EU data subject to request that their personal data be completely deleted. Your technology must also enable you to provide personal data upon request in machine readable format. The GDPR has additional breach reporting requirements, a separate set of security controls, and BARS a processor (like a digital health company providing data analytics to a hospital) from sharing health data with any third parties, such as cloud services vendors, without written authorization of the controller. GDPR also imposes additional record-keeping requirements and requires a data protection impact assessment, which may require a third party certification. Each of these elements will require businesses that have health data within their systems to revisit their security program. One other significant obligation on controllers and processors is that they must report data breaches to Data Protection Authorities and affected individuals within 72 hours if the data breach is likely to result in a risk to individuals. This is a much less complex breach analysis than under HIPAA, but recall that companies subject to HIPAA have 60 days to report a breach, so the requirement is actually much more onerous. Companies and practices will need to modify their systems, protocols, contracts, and workflows to adjust to this new 72-hour requirement. Non-compliance with the GDPR carries with it some hefty fines and penalties, so it cannot be ignored. Fines for lower level violations are between up to €10 million or 2% of worldwide financial revenue and €20 million or 4% of worldwide financial revenue. If you need help determining whether and how you will be affected by the GDPR, click here to contact a Nixon Law Group attorney.